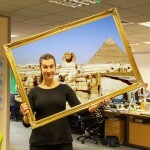 We are looking for the Ultimate Holiday Snap of 2011. Send your photos to facebook@holidayhypermarket.co.uk to be in with a chance to win £500 off your 2012 summer holiday with us. Competition starts 16th December and is subject to the Terms and Conditions below. Competition opens Friday 16th December 2011 and closes at midday on 30th December 2011. All entries must be received by the published closing date. This competition is open to all UK residents aged 18 years or over only, except employees of Holidayhypermarket their associated, affiliated or subsidiary companies, and their families, agents or anyone else professionally associated with the competition. All entries must be submitted via email to facebook@holidayhypermarket.co.uk and must include entrants name, email address and contact telephone number. Entries not submitted via email will not be counted. By entering the competition, you hereby warrant that all information submitted by you is true, current and complete. Multiple entries per person are allowed. The entrant must be the sole author and owner of the copyright of photos entered in to the competition. Copyright in all images submitted for this competition remains with the respective entrants. However, in consideration of their entering the Competition, each entrant grants a worldwide, irrevocable, perpetual licence to Holidayhypermarket to feature any or all of the submitted images in any of their publications, social networks and their websites and/or in any promotional material connected to this competition. All images submitted to the Holiday Hypermarket competition and galleries are subject to review, Holiday Hypermarket reserves the right to reject inappropriate images or images that are not within the current theme. A judging panel will decide on the finalists and the ultimate winner. Holiday Hypermarkets decision is final and no correspondence will be entered into. The winner(s) will be notified by email within 28 days of the end of the competition. Winner’s details will be posted on the Holidayhypermarket website within 28 days of the closing date of the competition. The winner(s) must acknowledge their win within 14 days of being notified via email or the prize may be re-allocated to the next-placed winner. The winner may be required to participate in publicity. Note that by entering into this competition you agree to have your name released as the winner and your entry and name may be used in future promotions published on Holidayhypermarket pages and social networks. The prize consists of £500 off any summer package holiday for 2012. The holiday must be booked before 30/04/2012. The prize is subject to availability and to any published restrictions. All prizes are non-transferable and there are no cash alternatives. Events may occur that render the competition itself or the awarding of the prize impossible due to reasons beyond the control of Holidayhypermarket, and accordingly, Holidayhypermarket may at its absolute discretion, vary or amend the promotion, and the entrant agrees that no liability shall attach to Holidayhypermarket as a result thereof. English law applies and the exclusive jurisdiction of the English Courts shall prevail. The Promoter is Holidayhypermarket 2nd Floor, Quayside, Dunedin House, Thornaby, Stockton-On-Tees, TS17 6BJ. Holidayhypermarket reserves the right at any time to cancel the competition if no more than 30 entries are received. We reserve the right at any time to cancel, modify or supersede the competition if, in our sole discretion, the competition is not capable of being conducted as specified in the competition rules. All entrants are deemed to have accepted the rules and agreed to be bound by them. QUIZ: How Well Do You Know Jamaica? Test your wits and trivia against our Jamaica quiz to see just how well you know the island’s ins and outs. Will you be a Natural Newbie or a Jamaican Savant? Jamaica gets Instagram aficionados super-excited with its mountainside bob sleds, stunning beaches and natural water features. Here are the island’s most Instagrammed spots.